DANANG (VIETNAM) - For everyone to share in the gains of the digital age, governments have to play an active role in making sure that the benefits are fairly distributed, Prime Minister Lee Hsien Loong told 20 other Asia-Pacific Economic Cooperation (Apec) leaders on Saturday (Nov 11). While free markets and private enterprise are required to drive innovations that have opened up new frontiers for trade and commerce, efficient and fair economies are just as important, said PM Lee. Speaking at the Apec leaders meeting in Danang, he said: "It cannot be entirely laissez-faire." "Of course, we can leave it to the markets to work this out, but there will then be much disruption and hardship as sectors undergo restructuring, and obstacles to taking advantage of the new opportunities. So governments need to play an active role," he added. He urged governments to mitigate the "winner takes all" effect of technological disruptions, adding that not doing so can result in reactions that prevent governments from promoting win-win economic integration and cooperation. Through fiscal transfers, investments in education, training and human resources, they can help spread the gains more evenly, he said. Together, the 21 Apec economies accounted for 49 per cent of world trade in 2015. 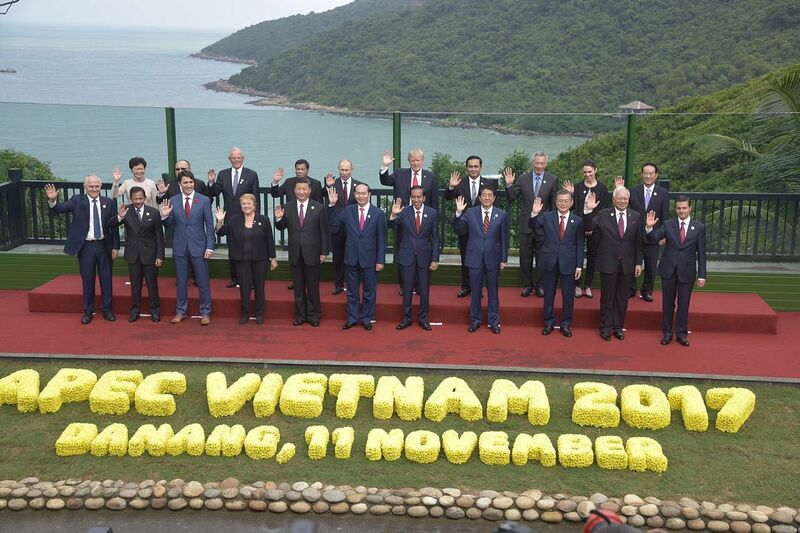 Making globalisation and digitalisation more inclusive is among issues on the agenda as leaders of the 21 Apec economies, including United States President Donald Trump and Chinese President Xi Jinping, gather in the Vietnamese coastal city for the annual summit. This comes amid growing push backs against international trade. PM Lee also urged his fellow Apec leaders to help businesses and workers adjust as technology disrupts industries and business models, and causes some jobs to disappear. "We are seeing middle managers and professionals worrying about automation and how artificial intelligence could be displacing workers. They ask: is AI helping them do their job better or doing their jobs and making them redundant?" he said. To assuage their anxiety, governments can provide the right incentives for them to upgrade their skills, and also the right environment, frameworks and rules to allow for innovation by businesses, he added. PM Lee cited the SkillsFuture for the Digital Workplace initiative in Singapore that provides courses for workers so they can acquire skills needed for the new jobs being created. "These are real political pressures which we have to deal with, and at the same time, move forward and adapt to the digital age," he said.